Ridley, Chuff, Kosierowski and Scanlon, P.C. is a full-service law firm committed to providing clients with outstanding results. The law firm of Ridley, Chuff, Kosierowski and Scanlon, P.C. opened in November, 2007 with 2 offices located in Milford and Scranton Pennsylvania. Our company strength is that we understand client service and we aim to exceed your expectations. We have the experience and the knowledge to give the utmost service to our clients. Ridly, Chuff, Kosierowski and Scanlon, P.C. serves Northeastern Pennsylvania, including Lackawanna, Pike, Susquehanna and Wayne Counties. 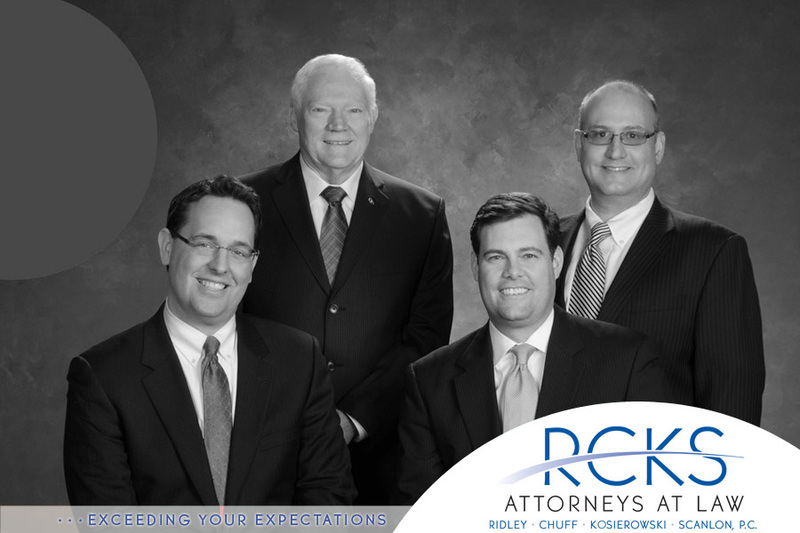 Attorneys Arthur K. Ridley, David F. Chuff, Joseph Kosierowski and James J. Scanlon have the experience and knowledge to meet your legal needs. Our services include Residential and Commercial Real Estate Transactions, Land Use Issues, Civil Litigation, Wills and Trusts, Probate and Estate Administration, Succession Planning, Business and Corporate Law, Bankruptcy and Mortgage Foreclosure issues and personal injury actions. © 2018, Ridley, Chuff, Kosierowski & Scanlon, P.C. All Rights Reserved.